Find and compare the best prices from a range of well known car rental companies at Kalamata Airport. This is a free to use facility, enabeling you to book direct with the company quoting the price. 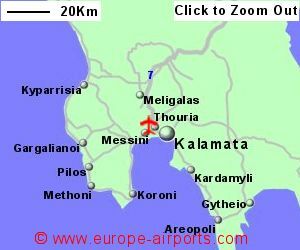 The airport at Kalamata has been in operation since 1959, having been upgraded in 1991 (including the present terminal) to accommodate package holiday traffic. Bus services and taxis meet scheduled flights at the airport. 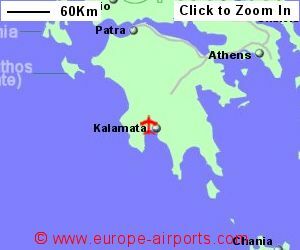 A taxi from the airport to Kalamata is likely to cost around 25 Euros. Facilities include a cafeteria, two shops, and an ATM. 278,000 passengers were handled by Kalamata airport in 2017, a 20% increase from the previous year.